Off to the lake for a quick look with Tom and Osc. Jean Pierre should have started draining it today by the existing siphon system and he had!!!! We were both shocked at how quickly the water level had dropped!!!! As you can see from the photos the water level had dropped at least a meter in less than 4 hours. Is this too quick?? Tom and I asked this question of each other several times. We weren’t sure and with all the rain we’ve had, going to have and forecast for the next couple of weeks it is possible that the draining must allow for this!!!! After all it is Jean Pierre’s lake and he must know what he is doing. Opposite view looking towards the entrance. 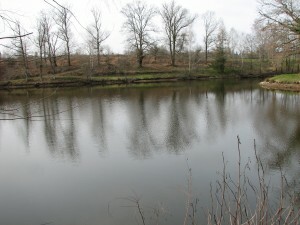 You’ll notice the exposed bank at the end of the lake. Taken from the north-west corner looking back towards the entrance. We walked along the bank from the entrance to the main outlet. Tom and I were both shocked at how much water was gushing out of the siphon into the stream. 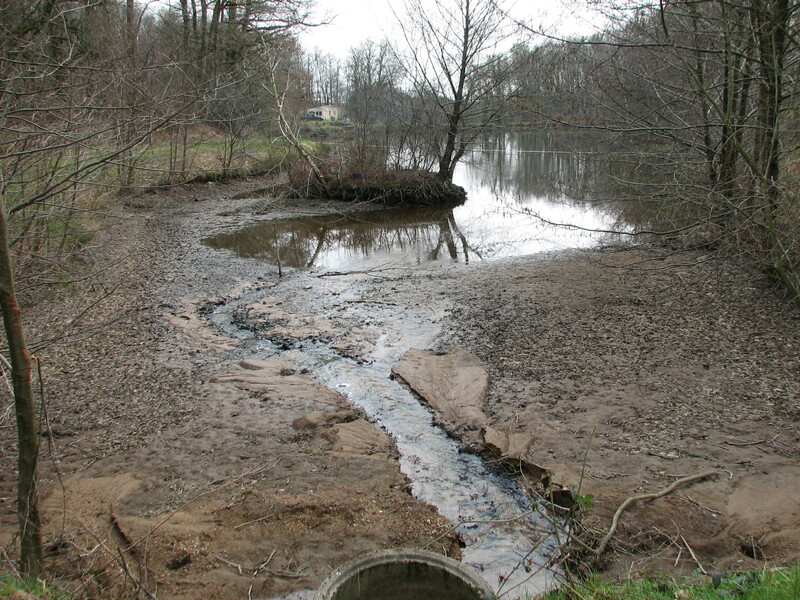 It is no wonder that the Garde-pêche have to give permission to drain. There is a massive amount of water being introduced to the water systems below our lake. 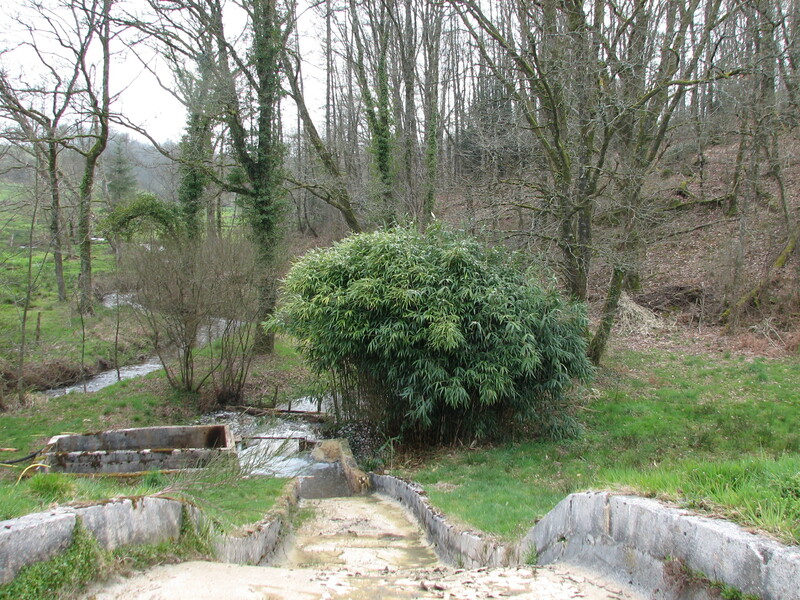 The photo below shows the cascade of water from the existing siphon system into the stream which is diverted around Le Coly. Looking down the now dry outlet to the end of the siphon pipe. We continued our walk to the north-west corner. It was very noticeable here how much the level had dropped as you’ll see from the photo below. From the north-west corner looking at our legal gite. The exposed rocks shows how much water has been drained in the last 4 hours. We are now standing at the inlet of the lake which is the shallowest end. The inlet pipe has fallen in and the water is rushing over it!!! Again Tom and I were surprised, we can clearly see the bed of the lake at this end with the outer edges of the island fully exposed. 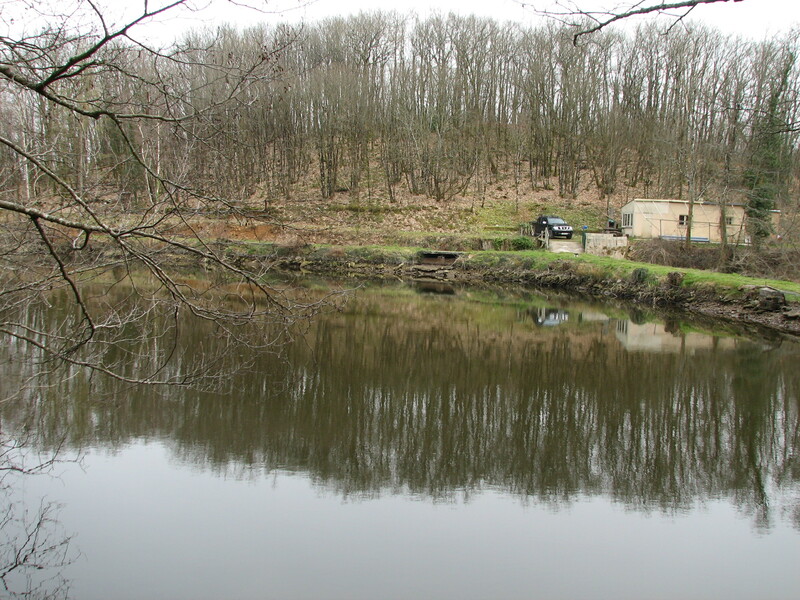 The water from the inlet naturally follows the old riverbed before the lake was dug. It is amazing to us how water will always find its original natural course. 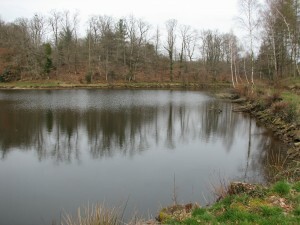 This will be an excellent spot to fish if you can find it with a marker float in the middle of Le Coly. The fallen pipe is at the bottom, the edge of the island is exposed and the gite is in the distance above the island. 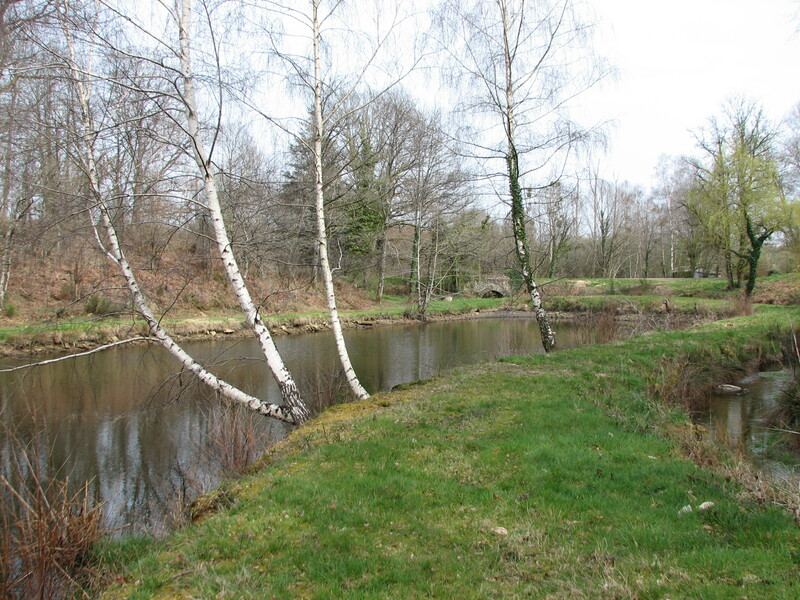 As I stated before old riverbeds are clearly marked on the www.geoportail.gouv.fr with the cadastral plans. 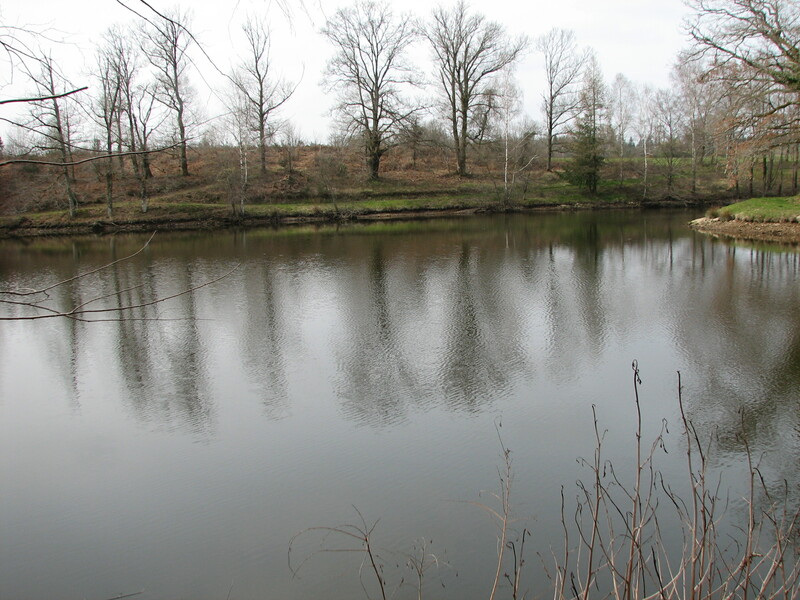 This could be an excellent source of information when researching a lake either to fish or as a potential purchase. Seeing the lake like this made us both realise how important and urgent it was to get the netting sorted. Back home and now for the rest of the lime trees. All done in three hours!!!! I hurt a lot but was very pleased. I also managed to have a bonfire and burnt all the scrub left over from the firewood I had managed to salvage. This will keep us going until we have chance to source some proper firewood. It was still bloody freezing at night. 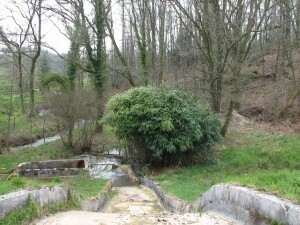 Tom is on that one and will take a trip to the saw mill at Les Trois Cerisiers tomorrow while I sort the rest of the garden and the netting, hopefully.